Knowing he wanted to enter the healthcare field, Dr. McIver considered becoming an optometrist or ophthalmologist before learning about the chiropractic profession. 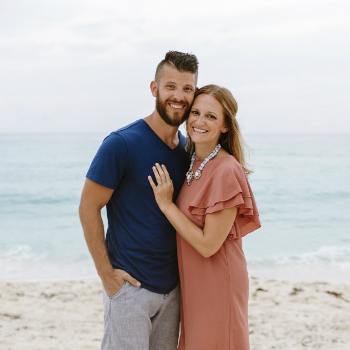 “I didn’t want to be in medicine, prescribing drugs and recommending surgery.” Though he went to a chiropractor in high school for neck and back pain, it wasn’t until later that he learned about the philosophy of chiropractic from his wife’s chiropractor. They sat down and discussed the foundations of natural healing. Immediately, Dr. McIver felt a connection and knew he wanted to become a chiropractor. It’s incredible that you can change a life using nothing more than your hands. Dr. McIver enrolled at Life University in Georgia, where he learned more about family-based health care with an emphasis on prenatal and pediatric chiropractic. It was during his time in chiropractic college that Dr. McIver learned about the Upper Cervical Technique, which addresses the vital atlas bone at the top of the neck. Due to its connection to the brain stem, it can be thought of like the circuit breaker that can turn the power of the body on. He utilizes this technique to this day in his practice. Dr. McIver also participated in a mission trip to Guatemala, where he adjusted hundreds of people and saw the far-reaching effects chiropractic could have on people’s lives. He is a member of the International Chiropractic Pediatric Association and is certified in the Webster Technique for pregnant moms. Additionally, he is a provider with the National Wellness Foundation and has trained extensively in pediatric chiropractic with this organization. Dr. McIver and his wife, Shauna, met in high school and have two children, Tatum and Lochlan. Both children were born naturally at home with no interventions and have been under chiropractic since birth. Dr. McIver and Shauna are alumni of Grand Valley State University, which is where they fell in love with West Michigan. After Dr. McIver earned his Doctor of Chiropractic at school, they knew that Creston was where they wanted to set up Northside Chiropractic and raise their family. The family loves being a part of our community. In their spare time, you can find them enjoying the Children’s Museum, Frederik Meijer Gardens & Sculpture Park, John Ball Zoo or walking the Grand Valley campus or along the river downtown.